If you have not yet experienced the redesign of Facebook Messenger (also known as the Messenger 4) then do not worry. Your app will be updated with the Messenger’s new and simplified UI very soon. Facebook announced their plans for an updated-messenger during the F8 developer conference held in May. 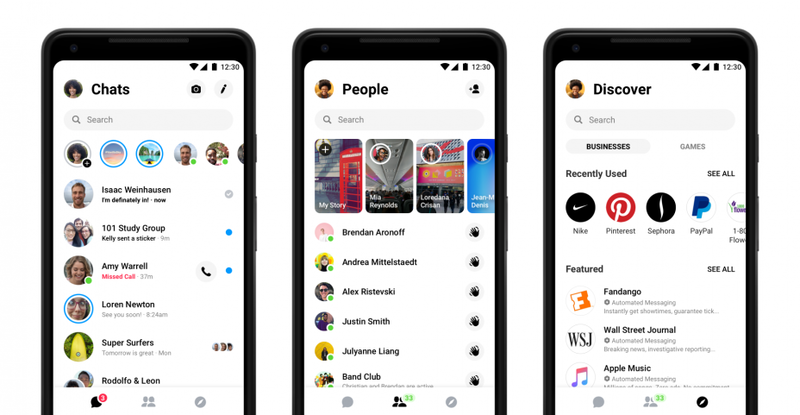 During the announcement, the tech giant assured the audience that the new Messenger would simplify the communication experience and emphasis solely on the important aspects of the app. Well, the new Messenger is launched on many devices and now is the time to witness its verdict. A quick look at the user interface of the new app shows us that Facebook has definitely simplified the feature in some respect. It has also eliminated the many tabs (which we hardly used anyways) to the significate three – chats, contacts, and games/chatbots. However, the regular (and somewhat disruptive) feature such as the “Favorites Bar” has managed to advance towards the new Messenger as well. On the design front – Facebook has kept up with the current trend and chosen an all-white aesthetic. However, the night-mode for the same is currently unavailable which is a nuisance at sometimes. Above all, the public reception for the Messenger 4 is not up to the expectation of the social media giant. In fact, many disgruntled users have taken to Twitter and expressed their negative views regarding the update, here and here.